It didn’t take long for the Revolution to fill the roster spot created by Julio DePaula signing with the Orioles. 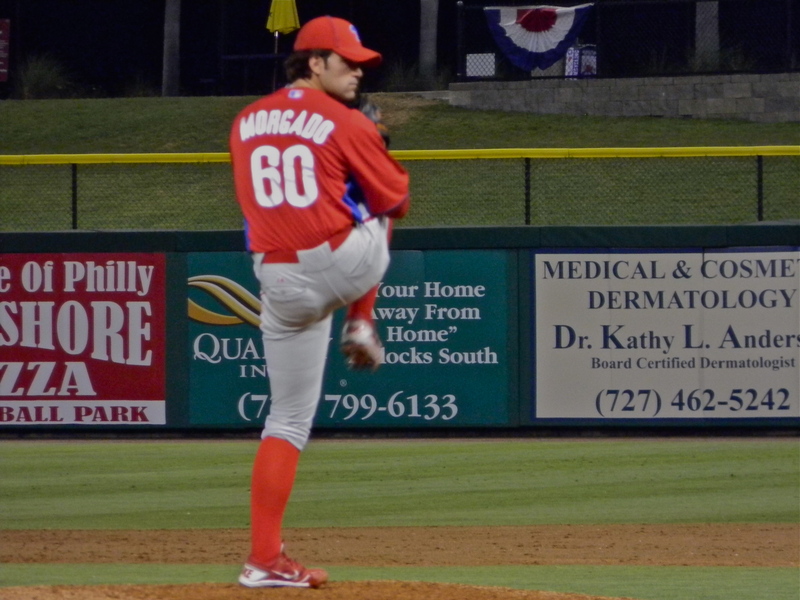 Left-handed long reliever Bryan Morgado has been added, who was a fourth round pick of the Phillies in 2010 out of the University of Tennessee. Entering this season, Morgado carried a 3.95 professional ERA in 81 appearances and 114 innings pitched. He posted an impressive 113 strikeouts in that time. The move brings the roster back to 25 active. York currently has 26 players in the clubhouse, with starting pitcher Matt Neil still on the inactive list with lingering elbow soreness. The York Revolution has announced that right-handed relief pitcher Julio DePaula’s contract has been purchased by the Baltimore Orioles. DePaula becomes the third member of the 2014 Revolution pitching staff to sign with a Major League organization, and the 32nd player in Revs history to earn a contract in-season. Fellow right-handers Anthony Lerew (Angels) and Mike McClendon (Rockies) had their contracts purchased in late May. DePaula, who was arguably the most dependable bullpen arm for the Revolution last season, spending the duration with York, carried a 2.89 ERA in 50 appearances over 56 innings. The Dominican native has been even more impressive this season, posting a 2.42 ERA in 28 games and 29 innings thus far. He struck out 30, walking only eight in that time, and has been consistently throwing in the mid-90s. With the uptick in velocity, DePaula appears Major League ready. 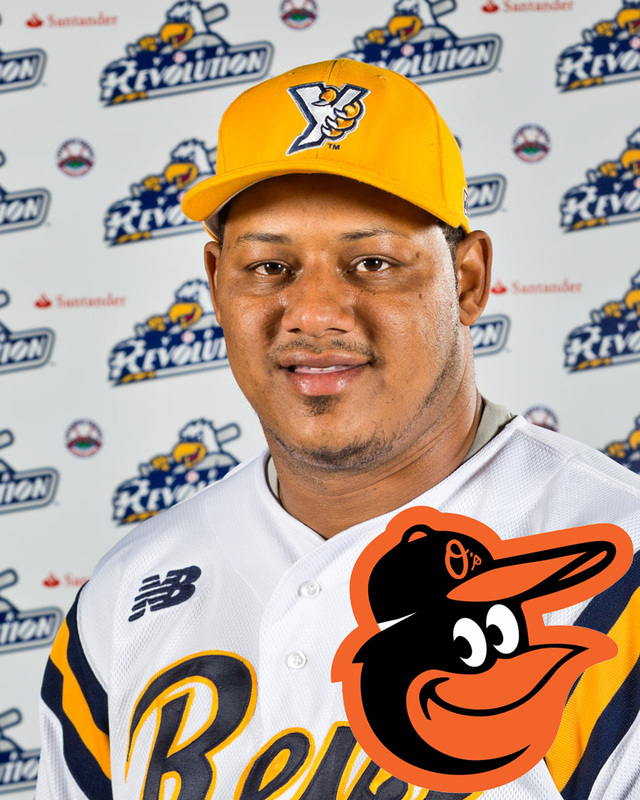 Should he ascend to Baltimore, it would complete a remarkable seven-year MLB comeback. He appeared in 16 games out of the Minnesota Twins bullpen in 2007, his only big league service time to this point. The Revolution has filled the open roster spot created by the departure of Chris Cody to the Brother Elephants in Taiwan. Right-handed reliever Scott Gorgen has signed with York, and as you can see from the stylish socks above, he’s played the majority of his career in the St. Louis Cardinals farm system. Gorgen was drafted by St. Louis in the fourth round in 2008 out of UC-Irvine, ascending as high as Triple-A Memphis in 2012. Last season, he appeared in 14 games with Camden, making 11 starts. Gorgen excelled as a young prospect, posting a 2.32 ERA his first year at Single-A Batavia in 14 games (six starts), and followed that with a 2.92 ERA in 14 games (13 starts) for A-Advanced Palm Beach in 2009. In 2010, he posted a microscopic 1.26 ERA in 12 games (eight starts) with Double-A Springfield. Coming into the 2014 season, Gorgen had tallied a 26-25 career record with a solid 3.55 earned run average in 87 pro appearances (67 starts). The Atlantic League is getting quite serious about its initiative to improve pace of play. Read all about the new pace of play committee below, via the official release from the Atlantic League. The hope is the ALPB is able to provide innovations and an example that could improve the pace of the game at the Major League level, but throughout all of professional baseball as well. The goals of the committee, the members and their resumes are also below. The Atlantic League of Professional Baseball (ALPB) today announced the formation of the Pace of Play (POP) Committee, tasked with reviewing ways to reduce the average time and enliven the pace of baseball games in order to enhance overall fan experience. The Committee will solicit and review ideas from fans, media, and baseball on-field and administrative personnel, in addition to proposals from Committee members. The blue ribbon panel is responsible for recommending actions to the Atlantic League’s Executive Committee. Suggestions will be vetted for their impact on pace of play and length of game, safety of players and on-field personnel, commercial consequences and simplicity, while maintaining the fundamental rules of baseball. The Pace of Play Committee is chaired by Tal Smith, former President of the Houston Astros and comprised of former MLB executives and players with over 200 years of collective experience in the Major Leagues, including Roland Hemond, Joe Klein, Cecil Cooper, Bud Harrelson and Sparky Lyle. Their suggestions, recommendations and findings will be published on the Atlantic League website ( www.AtlanticLeague.com ) and made available for review by any interested parties. There were rumblings over the winter of Chris Cody pitching in the Chinese Professional Baseball League on the island of Taiwan this season, which delayed his official signing with the Revolution for 2014 until March 14. Even after that, into York’s preseason camp, it still looked like he might depart for a potentially lucrative contract overseas, which didn’t happen. 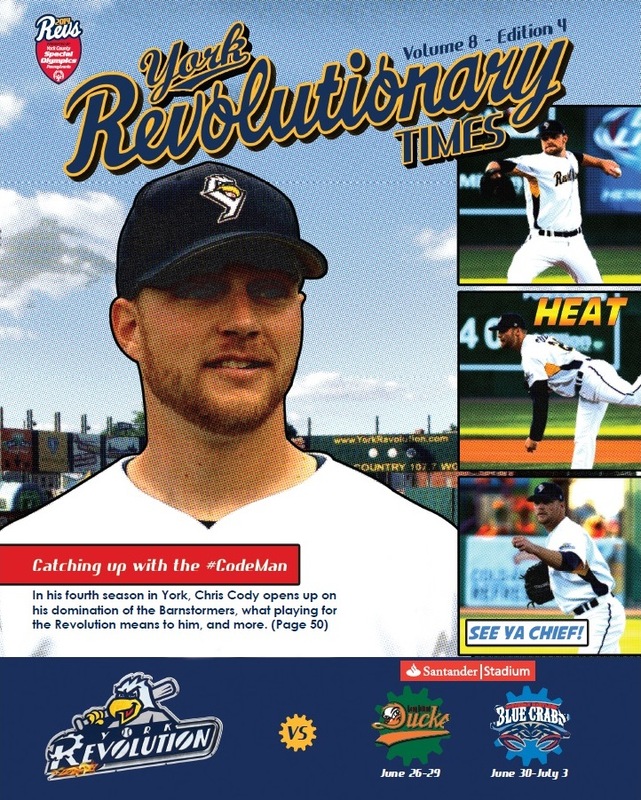 As you can see above, Cody is gracing the cover of the next issue of the York Revolutionary Times, in which he talked about the situation in more detail. (Read the upcoming issue at Santander Stadium the next eight home games, June 26 – July 3). It’s now official though, Cody has a contract to pitch for the Brother Elephants through the end of August. The season over there lasts into the fall through October however, so how long Cody will pitch in Taiwan remains to be seen. He could return to York for the stretch-run of the regular season and hopefully playoffs in September, should he only pitch through August. Scott Grimes, who traded in one set of blue and gold for another. In retrospect, it’s not difficult to see why the 2010 team was successful in bringing York its first Atlantic League Championship, with five players off that title team moving into coaching. With the tear he’s been on, the Revolution first baseman didn’t leave much doubt, but it’s official. 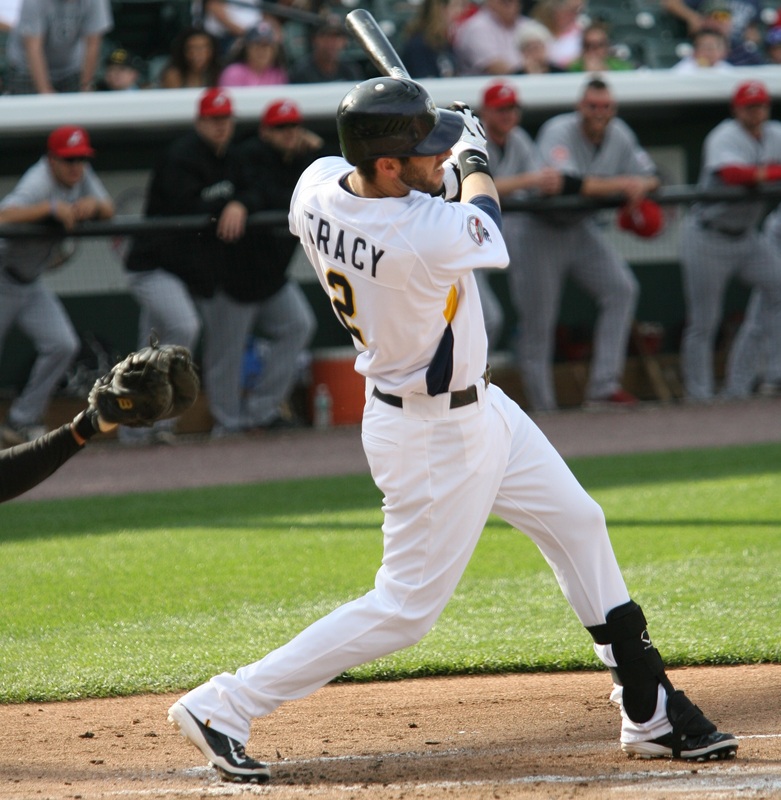 Chad Tracy is your Atlantic League Player of the Week for June 16-22. For the first place Revs, he’s the first player this season to earn Player of The Week honors. Tracy batted a sultry .344 last week in seven games (11-32), stroking five home runs with 11 RBI and eight runs scored. 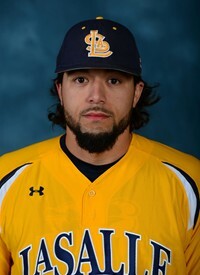 He slugged two homers in a game twice; June 16 at home against Camden (8-6 win) and June 21 at Southern Maryland, smacking a game-winning grand slam in the 8th inning in an 8-4 win. After homering nine times in 59 games with the Revolution last season after joining the club from the Kansas City Royals organization (Triple-A Omaha), it was downright shocking Tracy was homer-less into June after beginning the season with York, after spending all of spring training with the Baltimore Orioles. Tracy was also red-hot in camp with the Revolution. However, based on his power numbers last year you knew he was still a guy that can get you 20 or so homers over 140 games, and a cluster of bombs like this wasn’t unexpected for Tracy to catch up. He’s currently at six homers total, in just his last 11 games after 43 games without one. Baseball is a cruel game, but it tends to even out. Tracy has also driven in 37 runs in 54 games this season, equaling the number of RBI he had for York last year, in five fewer games. He now has 142 homers in his ninth season as a professional.